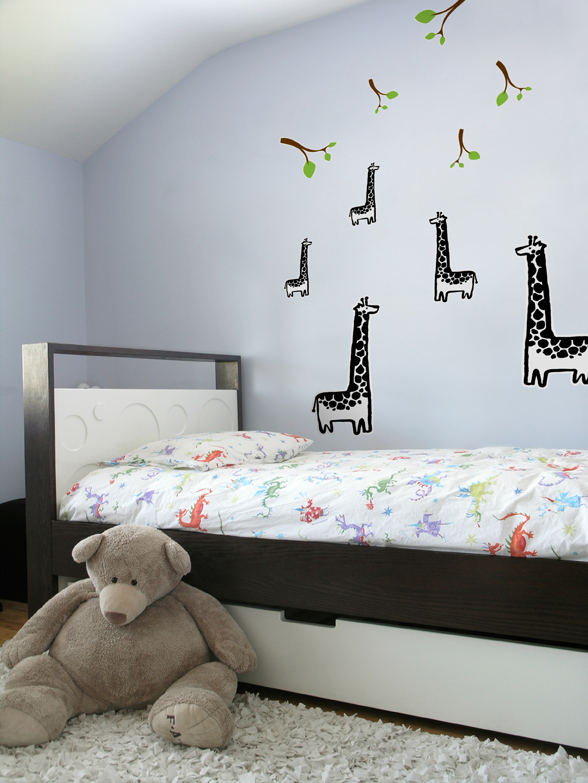 * 2 sheets of re-stik wall stickers. 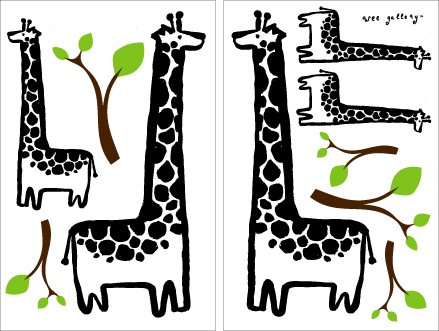 This pack contains 5 giraffes and 5 branches! 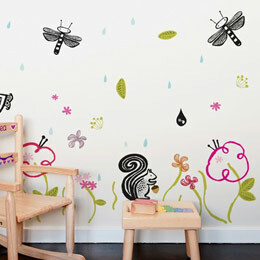 A total of 10 stickers to compose and re-compose your wall mural as you wish. Cherry on the cake, all WeeGallery stickers are coated with a Re-stick backing, so you can modify the arrangement as your child grows-up. Introducing Wee Gallery, a line of products specially designed to stimulate the minds and imaginations of growing children, thanks to stylized black and white illustrated animals. 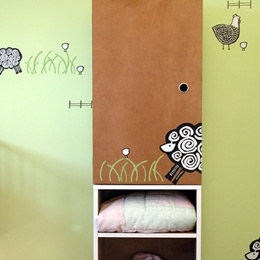 Wee Gallery animals are designed to interest babies and Kids at different stages of their growth.